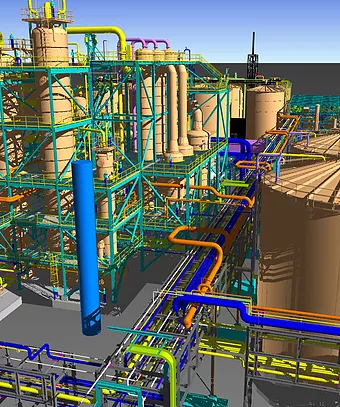 We are full service design consultants specializing in industrial plant design, 3D laser scanning, 3D modeling, software implementation and site support services. After working many years for global leaders in the engineering, design and construction of both sulfuric acid plants and renewable energy, D3DS was created to service the industrial plant, manufacturing, power generation and transmission, and other commercial design segments. ​Our management team has a combined 90+ years of experience and are experts at finding solutions to your design and engineering needs. Our detail design staff have worked together for over 26 years developing and perfecting a unique process of executing projects using the most advanced 3D plant design CAD software.